If you are looking to prepare yourself to take on a new career challenge, how do you capture your experiences in a useful way? 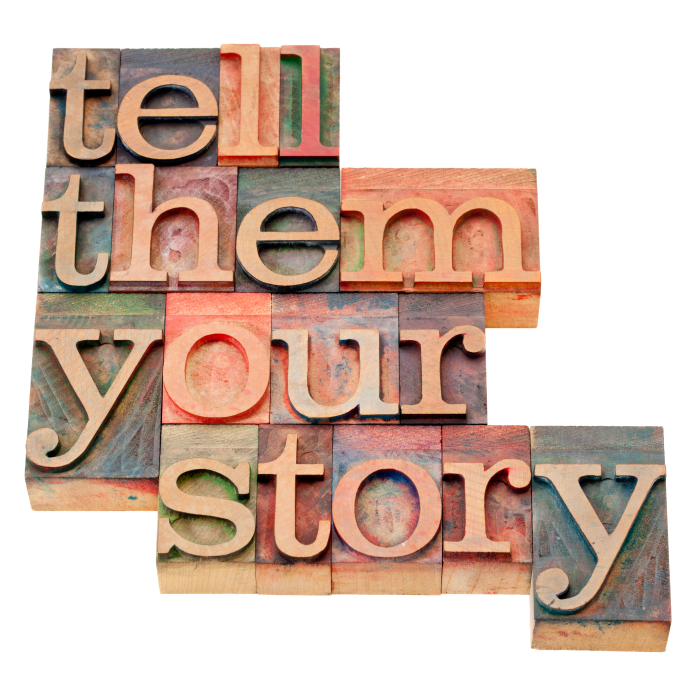 Your stories are important in the context of both creating your resume (The Essay Expert’s specialty!) and preparing for an interview. Once you are in front of your prospective employers, your goal is to communicate that you are the right fit for their organization. The interview is largely about testing your personality. The interviewers already know that you have the right technical skills or a demonstrated ability to learn them. What they don’t know is whether or not you will fit in their company culture. This is where your stories about your employability skills kick in. 95% of interview questions are behaviorally based. This means that you will be asked questions that require you to provide an example about how you have demonstrated your employability skills in the past. If you haven’t prepared your answers, you will likely fumble your way through your interview. This question is meant to elicit how well you will interact with your fellow employees. Will you be a good team member to have around the office? If you have prepared stories about teamwork, communication, leadership and problem solving, you will quickly be able to modify one of your existing stories to provide a succinct and coherent answer to this question. If you haven’t prepared your stories, your face could turn white, the blood draining from your brain: “I’m not sure. I can’t think of one right now. I know that I have worked with difficult people before but I can’t think of one right now. Sorry.” It is not unusual for these sorts of responses to be heard in an interview. How do you think the interviewers will judge your organizational “fit” with this kind of response? Now here’s the good news: Interviewers have formulas that they listen for with regard to how your answers are structured. If you know the formula, you can prepare so you don’t get caught off guard. One common formula is the CAR (Challenge / Action / Result) method. When answering a question such as the one above about working with a difficult person, you might choose a CAR story that you had prepared. ‘C’ is for Challenge or Circumstance. What situation sets the scene for your story? What was the context? Who were the players? What goal were you (as a team or individually) trying to achieve? What roadblocks stood in the way? Although the first place to look for CAR stories is in your work experience, some of your best examples might come from family, recreational, or other extracurricular activities. This is especially true if you are a new graduate, but might be relevant even if you are a seasoned professional. If you planned a wedding, for instance, you learned skills that will apply in any paid position where you might be asked to organize a project or event. And if you get along well with your family, that’s a great sign that you will be a great person to have in the workplace! ‘A’ is for Actions. This is where you differentiate yourself. What did you do that made a difference? Be specific and include the most pertinent actions that you undertook. In the example above, you may have recognized that part of the reason for the “difficult” person’s behaviour was that you hadn’t been clear in your communication. So you may have stopped talking and just listened. Perhaps you discovered that they had misunderstood what you said—enabling you to communicate your message in a way they could comprehend. ‘R’ is for Results. This is the “So what?” part of your story. The results you have produced are some of the most important employability skills you can demonstrate. In the above example, your effective use of communication through improved listening may have resulted in a clearer understanding for the entire team of what it was trying to achieve—which in turn created a high level of focus and ultimately a successful project. You might even add that a big lesson from this experience was that through effective communication, you realized that the “difficult” person in question wasn’t that difficult after all. By sharing your results, you emphasize the positive impact you can have on an organization. Preparing your CAR and employability skills stories, complete with results and lessons learned, provides you with flexibility when answering questions. You will be able to simply listen to the question and then select the most appropriate story to answer it. Your answers will be well-thought-out and evidence-based, and will make your interviewers engaged and favourable toward your application. The power of telling your stories through a structure such as CAR is that it enables you to shine and reveal your personality, in addition to demonstrating how well you prepare for important meetings (yes, an interview is a meeting!). Your interviewers are then in a position to objectively judge how you would fit in the organization. If you’d like to learn more about how to prepare yourself to be a successful interviewer and Young Professional, including another powerful formula for creating your stories and examples, then access What Really Matters For Young Professionals! Gary Ryan is the Founder of Organisations That Matter, author of What Really Matters For Young Professionals! and creator of the Yes For Success online platform for creating and executing a life of balance and personal success!